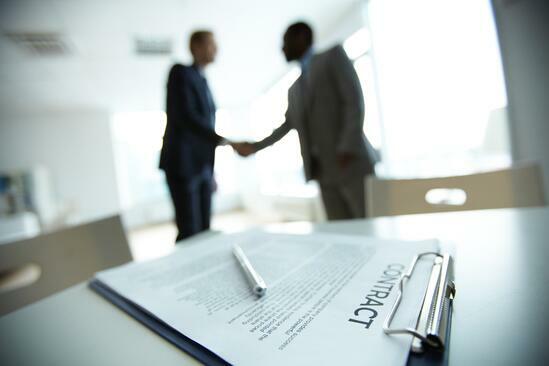 Negotiating an IT services contract can be a long, complex, and arduous process. As such, there are many instances where key provisions are either insufficiently addressed or left out altogether. No rate hikes: Beware of arbitrary rate hike language that permits increasing prices at the end of a contract term. The price of most IT services rapidly decreases over time, so why agree to a rate hike? Remove this language and cover yourself with a mark-to-market provision for like services, or leave enough time to strategically source replacement services. No auto-renewals: The last thing that you want is to find yourself unwittingly committed to another 3 year term for services. Many providers place auto-renewal provisions in agreements claiming that they protect the customer – they do not. At the end of a contract term there should be a provision stating that the contract may go month-to-month for a specified period of time (e.g., 12 months). The month-to-month period should be sufficient for you to source a new provider and transition the services if you choose not to remain with the incumbent. No moving of equipment: If your equipment is in a professionally managed data center the provider’s agreement will likely have a provision that permits them to move it without your permission – strike any such provision. You should not be placed in a position where a provider can move your equipment without your permission and not be responsible for any down time. If you need to negotiate the provision to carve out emergencies, ensure that an “emergency” is clearly defined and excludes any events caused by the provider’s act or omission. Yes SLAs: Two important things to remember when negotiating your SLA are (i) the appropriate measurement period, and (ii) the performance credit associated with breaching the SLA. Ensure that the measurement period corresponds with the period referenced in the SLA. For example, you would not want a monthly uptime SLA based on an annual measurement. Secondly, if an SLA is breached, it is helpful to have a two-tiered structure. For instance, if the SLA for 99% monthly data accuracy is breached, the performance credit would be 5% of monthly charges. However, if a secondary SLA set at 95% is breached, then the performance credit would be 10% of monthly charges. Yes termination Rights: There are two instances where you should have an absolute right to terminate the services agreement without penalty - these are in the event of (i) chronic trouble, or (ii) critical failure. Chronic trouble occurs when a problem, although not critical, happens repeatedly. For example, 3 minor SLA breaches within a 6 month period. Conversely, critical failure can be a one-time event, such as a 12 hour data center power outage. If either chronic trouble or critical failure occurs, you should have an unfettered right to terminate the agreement with no additional charges. For more best practices regarding the IT procurement process - check out our free e-book Understanding Your IT Infrastructure Needs.